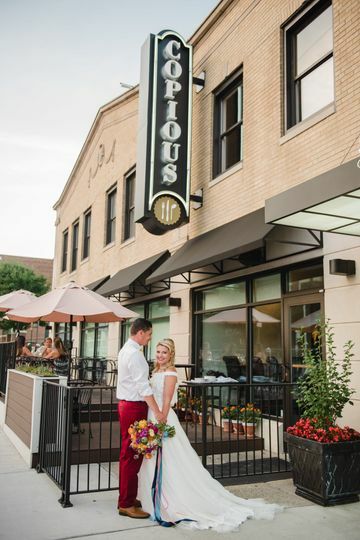 Copious is a modern restaurant and banquet hall wedding venue catering to couples getting married in Columbus. 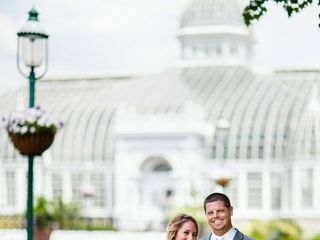 This building houses three distinct venues that all offer a dynamic atmosphere for your special day. 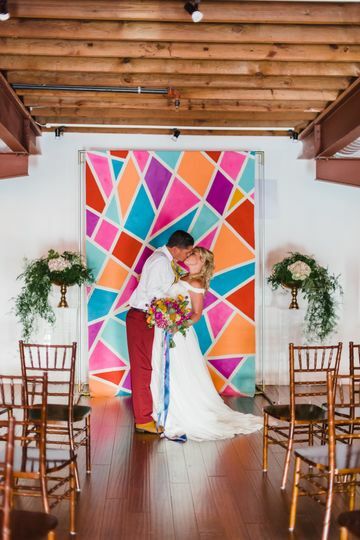 Event Coordinator Erica Hardesty has spent over 10 years in the event management industry and is well equipped to help you create the event you've always dreamed of. 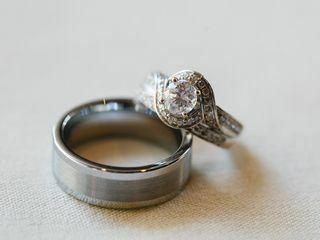 Inquire about Copious today, and get ready for a one-of-a-kind Columbus wedding! 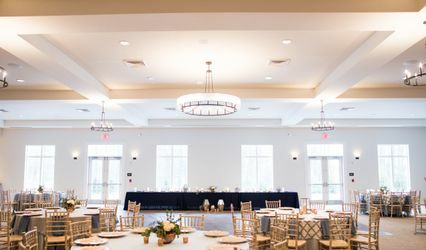 This venue blends together modern style with industrial accents to give your wedding day a flair that is uncommon in many wedding venues. 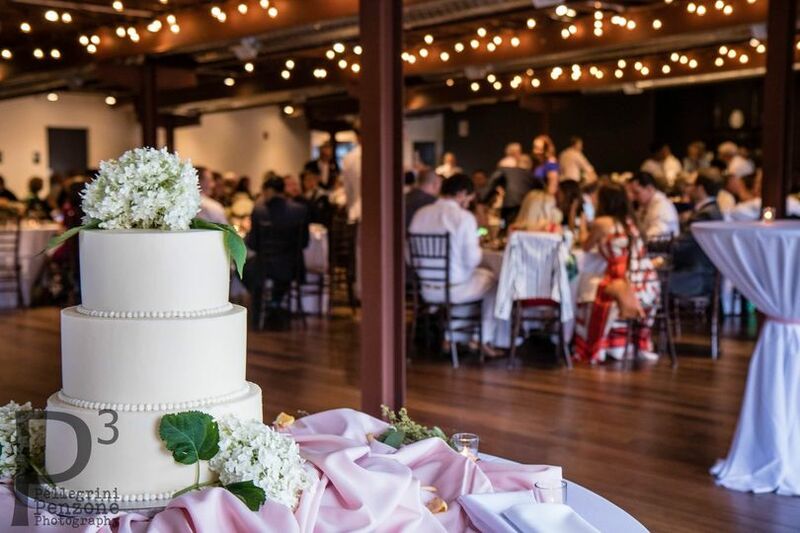 Utilize Notes, a below ground entertainment space that is able to hold up to 200 people for your celebration. 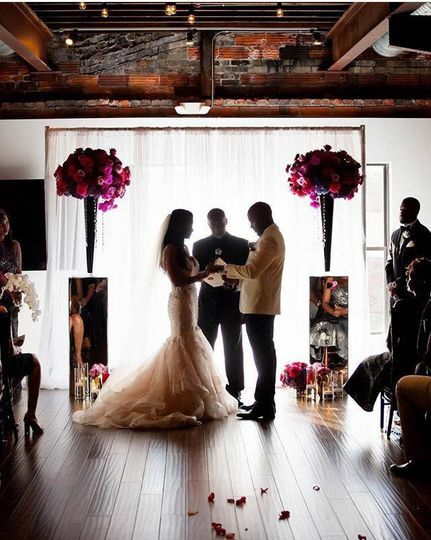 Walking up to the second story, you will see the McGowan Loft, ideal for celebrations of up to 300 guests. 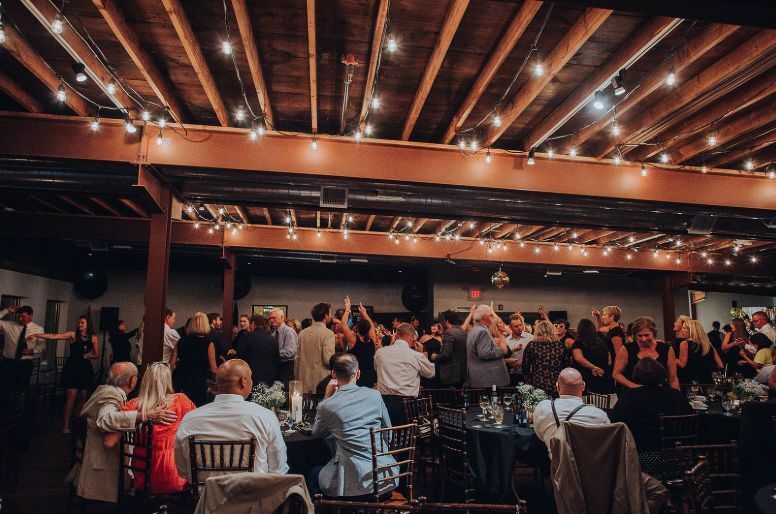 Strings of white lights hanging from metal beams, dark wooden floors and access to the balcony patio are sure to set the tone for a memorable day. 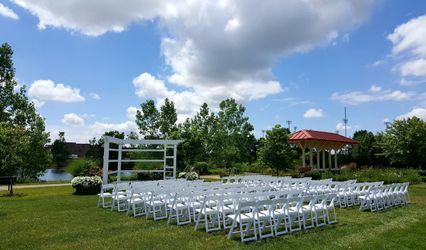 This venue is located in the Brewery District of Columbus near the Scioto Audubon Metro Park. This centralized location is near some of the best places to eat in the city, and within close vicinity to many hotels in the area. The Ohio Theater is also within close proximity for those who want to see a great show! Absolutely phenomenal! 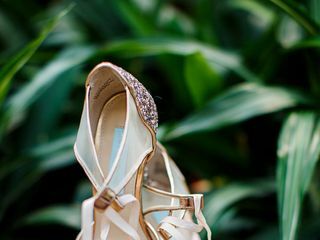 Andrea and Erica made our ceremony run flawlessly. 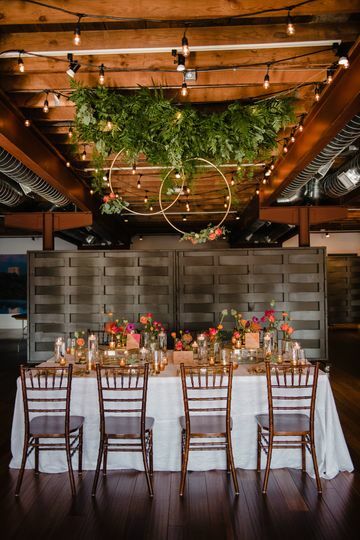 We held our ceremony in the restaurant space with california style seating. After the ceremony we had lunch served. 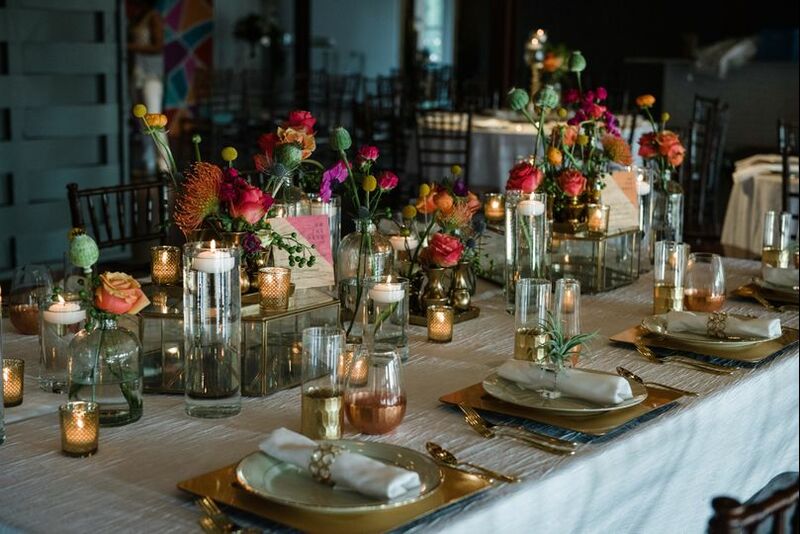 Delicious food, beautiful decor. They worked with us through every detail including the artwork, musicians, menu choices and bar packages. They are so wonderful to work with and I highly recommend this beautiful, classic, romantic venue. They also worked with us to help us stay within our budget. 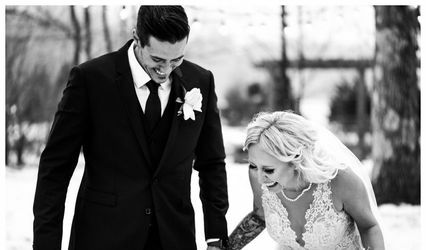 I can't say enough kind words about this place and those who helped us with our special day.